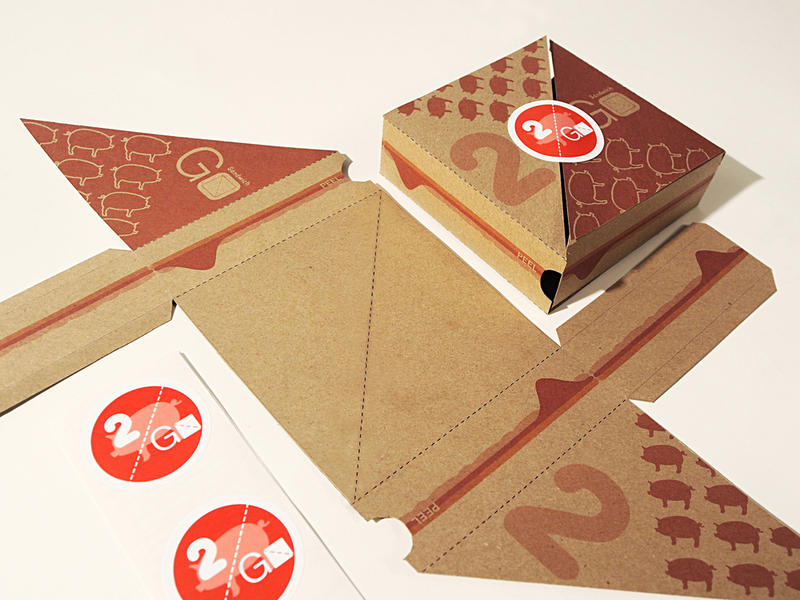 The 2 Go Sandwich is designed for a sandwich shop in fast-paced urban area. People commute and rush to work everyday, but forget to slow down and share with each other. It is easy to share half of a sandwich by tearing the box. Users can finish the sandwich and flatten the box (for recycle) easily by peeling off the side.